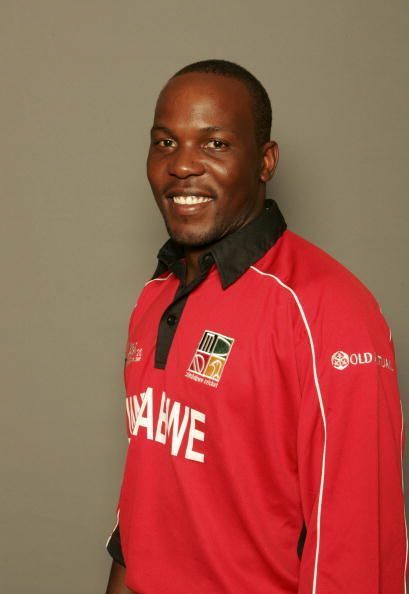 Hamilton Masakadza is a Zimbabwean cricketer who was born on 9th August 1983 in Harare, Zimbabwe. He is a right-handed batsman and occasional right-arm medium-pace bowler. Masakadza has become a vital cog in the Zimbabwean team across all the three formats of the game. On Test debut, Masakadza became the youngest ever cricketer to score a century. In February 2000, aged just 16 and still a schoolboy, Masakadza started his career by playing domestic cricket for Manicaland. He was the part of the Surma Sixers Sylhet in the 2013 season of Bangladesh Premier League. Masakadza became the first black Zimbabwean to score a first-class century. Masakadza made his Test debut on 27 July, 2001 against West Indies at Harare Sports Club and scored a century in the second innings of the game. He made his ODI debut, just 2 months after his test debut against South Africa where he could manage to score 11 runs and got run out. He received his T20 cap in the year 2006 against Bangladesh where he scored 35 runs but that was not enough to chase the target. Masakadza continued his impressive form after his debut and helped his side to win many matches. He experienced a purple patch during the series against Kenya when he became the only Zimbabwe player to go past 150 runs twice in ODIs. He carted the Kenyan bowlers to all parts of the ground by scoring 178 and 156 runs. During the team's six-year exile from Test cricket, he increased his ability in One Day Internationals. His first century in this format came on 14 August 2009. In the 2010 tri-series, featuring India and Sri Lanka, he showed glimpses of his old form by playing some important knocks. Hamilton has also done well in the T20s and has contributed with many significant performances. He remains one of Zimbabwe's strongest openers in limited overs cricket and a trusted top-order batsman in Tests. Masakadza was the part of the Surma Sixers Sylhet in the 2013 season of Bangladesh Premier League where he played an important role for his side to reach in top 2 in the points table. He was the captain of Zimbabwe until his sacking from the post, following the Zimbabwe Cricket board's review of the team's poor performance at the 2016 ICC World T20. At the age of 17 years and 254 days, Hamilton Masakadza became the youngest ever cricketer to score a century on Test debut. He became the first Zimbabwean to make two scores of 150 or more in ODIs, and the first player from any country to make two such scores in the same series. He has the record for scoring the most number of runs in a 5 match ODI series where he managed to score 467 runs. In 2014 he along with Sikandar Raza set the record for the highest ever partnership for Zimbabwe in ODIs. He is also the country's leading Twenty20 International run-scorer, becoming the first Zimbabwean to reach 1,000 runs in this format. In Zimbabwe's tour of Bangladesh in January 2016, Masakadza set a world record for the most runs scored in a T20I bilateral series, with a total of 222 across four games. Following India's tour to Zimbabwe in June 2016, Masakadza became the first Zimbabwean cricketer to play in 50 Twenty20 International matches. India vs Zimbabwe 2nd T20I prediction: How will the second T20 shape up at Harare? India vs Zimbabwe 1st T20I prediction: How will the first T20 shape up at Harare? India vs Zimbabwe 3rd ODI Match Prediction: How will the third ODI shape up at Harare?